Having been in the Pest Control industry for years, We’ve heard “Pesticides can’t kill scorpions” 100’s of times from people using other companies – This is absolutly NOT TRUE! Scorpion Control tests: Of all the professional products we’ve tested so far, only 1 hasn’t killed scorpions when sprayed directly. Unfortunately, this product is widely used in the pest control industry because it offers best control for roaches & crickets. All the other professional products tested killed scorpions after drying when applied to a NON-POROUS surface. For example, a shiny finished tile, or a painted wall. A very small number of products killed scorpions on a POROUS surface after dry. Despite what you may have heard… Scorpion Pest Control works when it’s done RIGHT. Responsible Pest Control has Scorpion Control down to a SCIENCE after years of PREPARATION, hard work, and STUDY! We’re always collecting scorpions and running tests with the best & newest professional products for scorpion control. 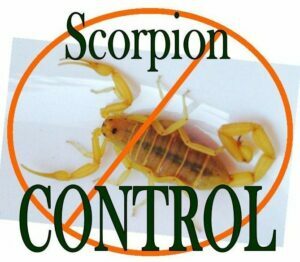 Other Companies Talk Scorpion Control – Responsible Pest Control PROVES it! Our AZ Scorpion Control Pro’s Know which Products WORK & Where They WORK Delivering EFFECTIVE Control of Scorpions & the bugs they feed on! Watch the video and see for your self. Responsible Pest Control offers you the best scorpion control program available in the industry! Responsible Pest Control technicians are trained to apply the best products combined with the most EFFECTIVE application methods for GUARANTEED results that are FRIENDLY to family & pets. We can stand behind our Scorpion Control methods because we’ve done our homework! Join 1,000’s of HAPPY CUSTOMERS that live Scorpion FREE in the Phoenix Arizona Valley. Responsible Pest Control serving Mesa, Phoenix, Scottsdale, Chandler, Gilbert, Maricopa, & surrounding areas.